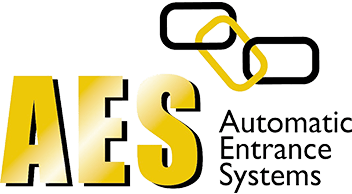 AES (SCOTLAND) LTD undertake all aspects of residential, commercial and industrial supply, installation, commissioning, testing and maintenance of automatic electric gates Edinburgh, Glasgow, Stirlingshire, West Lothian, East Lothian, Fife and the Scottish Borders, Scotland, UK. The misery and stress of bad service far outweighs the satisfaction of a discounted price. AES believes a correctly designed and installed system with little maintenance should last 15-20 years plus, not 6 months as is often the case with many other installers. 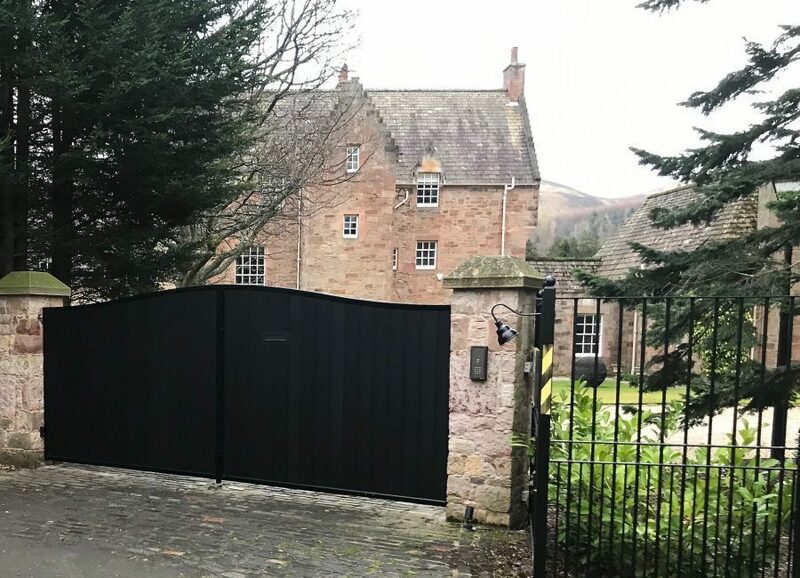 AES have been installing and maintaining automatic gates systems for no less than 16 years and in that time AES have seen the market change dramatically. In recent years the number of companies dealing in the automatic gate market has grown from a handful to well over 15,000 throughout the UK alone. Unfortunately this growth has it’s negatives as well as it’s positives. With such a growth, most of which has been very recent, the level of qualified and quality experience has become very rare and there are a great deal of inexperienced people giving poor advice to new customers. This advice is often price driven and though, mostly meant in good faith, it lacks the knowledge to offer any reliability in the gate system. So often customers believe specifications from different companies are the same, simply because they are either told so, or the main items are listed similarly. This is, in nearly every case, far from the truth. The main items, such as the type of operator, actually represent a small fraction of the full system value. The very best operators on the market are only as good as the supporting components that make up the entire installation. Often the work people do not see is the most important part of any installation. Very much like building a house, if the foundations are not right, even the best house in the world has little chance of lasting. The construction of the gate and support posts themselves are often wildly different. 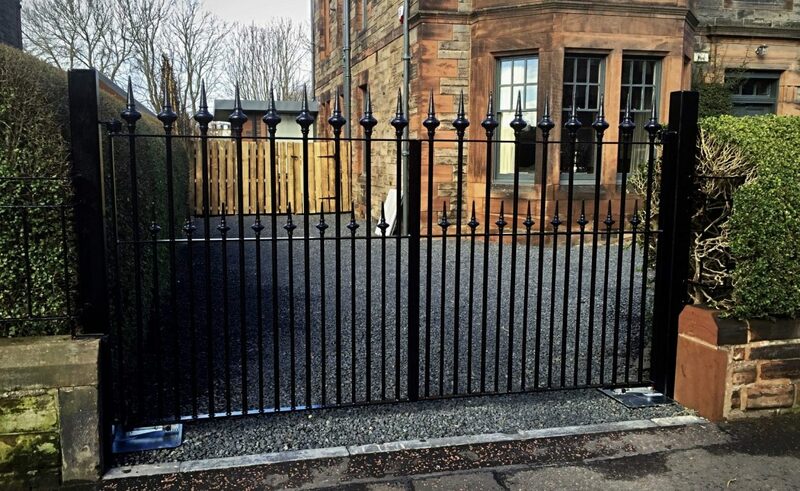 A photograph or a line drawing of a gate can be very misleading. The construction method, the size and type of materials used, as well as the finishing often vary tremendously, giving a great difference in the raw material costs. Remember, a small saving could cost you a lot more in the long run, make sure you do your research. Google can be a great tool. There are a number of operator types to choose from. The operator is the motorised element that controls the physical movement of the gate either directly or indirectly. The operator usually controls both the opening and closing movement of the gate and is regulated with variable pressure adjustment to suit each installation. Different operators lock open and / or closed. They can lock in both positions or be non-locking in both positions. Different speeds of operation are available together with standard and non-standard sizes for varied applications. Operators can be visible above ground or concealed underground with manual overrides fitted. The direction of opening and the amount or degree of travel together with the weight of gate and probable wind resistance will also determine the type of operator best suited for each application. The usage cycle and potential for abuse from natural or man-made conditions will once again suggest which operator is recommended. The new brushless gate motor range from Roger Technology has revolutionised the gate automation industry. With unparalleled reliability, non-stop run cycles across the range and incredible mechanical quality the brushless range of automation show that the future is here, today. The Roger Technology Brushless range has many advantages over standard motors, please contact us to learn more. These motors are extremely strong and able to cope with heavyweight gates. The strength of the motor is achieved by the irreversibly geared gearbox. They can be operated by remote controls, push buttons, keypads etc. In the eventuality of a power cut the operator has a key operated manual release mechanism. These operators are commonly used to automate gates that are hung from large brick or stone pillars. If these operators are primarily to be used for security, we’d strongly advise the installation of a magnetic lock. The strength of the motor is achieved by the irreversibly geared worm drive mechanism. These operators are commonly used to automate gates that are already installed. These operators are commonly used where security is of highest priority. These gates can’t be easily driven through or levered open. Whenever there is limited space in an entrance, an electric sliding gate which takes up little or no room is the ideal solution. Whenever the driveway entrance turns sharply to the right or the left and a wing type gate would form an obstruction to the turning vehicle, then an electric sliding gate is the ideal solution. 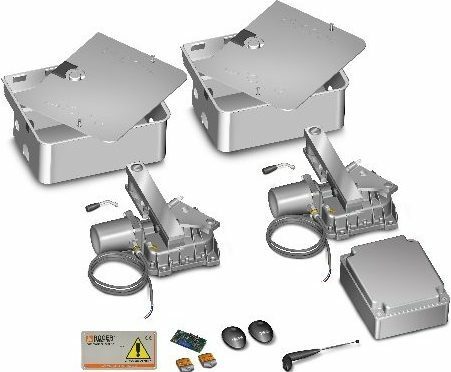 The ROGER TECHNOLOGY range of electric sliding gate operators has a machine for every size of gate. The installation of an electric sliding gate system is a little more involved than any other type of electric gate as it has to have more civil engineering done at the initial stage, but once the correct ground track and/or cantilever roller frames are installed, then the installation follows the same format as with other types of electric gates, continuing with the mechanical engineering stage of gate fabrication and gate mounting, followed by the final stage of electrical fixing and commissioning. 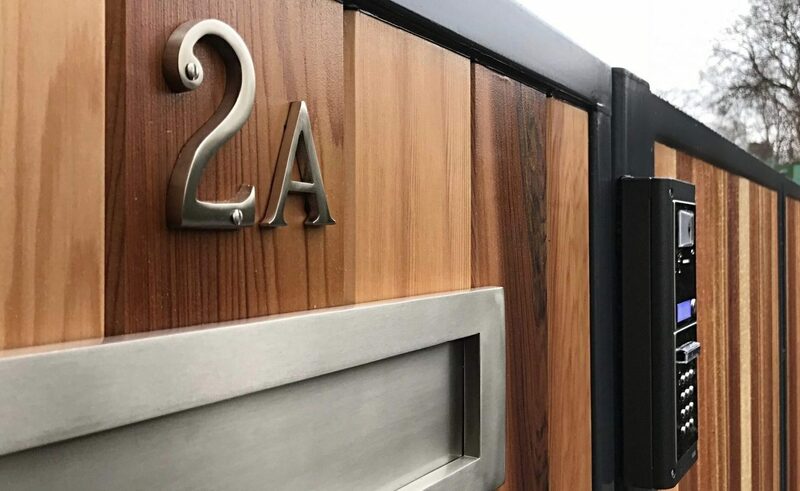 We are qualified and available to survey your gateway to recommend which sliding gate motor and gate will suit best your individual requirement. These operators are commonly used to automate gates where the customer doesn’t want to affect the aesthetics of the gate.